The Rodon Group was very busy this past year providing information to help companies make better decisions about their plastic manufacturing. With close to 100 articles in 2015, we covered a lot of territory. We thought we would take a moment to highlight our favorites posts and the posts that got the greatest response from our readers. We hope you find these helpful, informational and even entertaining. Thank you for your continued support and best wishes for a very Happy Holiday season and a prosperous New Year! There are four key factors that determine if a large-volume project will go smoothly. They include: Part Design, Tool Design and Build , Material Selection and Manufacturing. Without a precise approach to each stage of the process, things can go wrong, and when they do, costs begins to rise. 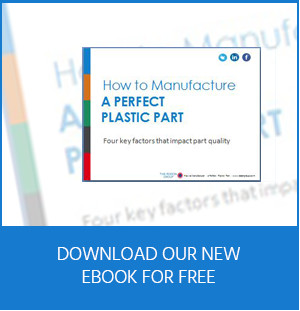 In our new eBook, we review the most important aspects of each stage in the manufacturing cycle along with some helpful charts and diagrams. How do you achieve just the right shade of gray in your plastic part? It’s all in the masterbatch. A masterbatch is a concentrated mixture of pigments and/or additives encapsulated during a heat process into a carrier resin*. The resulting product is used to color raw polymer materials and provide other desired characteristics to the final part such as UV light resistance, flame retardants, slip agents and anti-stat agents. This review of plastic resins is the third article in our series on how to make a quality plastic injection molded part. It will focus on the basic characteristics of polymers with some examples of popular resins and their applications. In today’s manufacturing environment, plastics are being used to make everything from automotive body parts to human body parts. Each application requires a special manufacturing process that can mold the part based on specifications. This article provides a brief overview of the different types of molding and their advantages and applications. 8. What Do Cars and Caps Have in Common? The use of plastic in our daily lives is ubiquitous. There are very few common household items that are manufactured without it. From non-stick coatings in pans to the pipes in our plumbing, plastic has made our lives easier by improving product performance and strength. So, it is not surprising that the future for looks bright for this 21 century phenomena. In today’s manufacturing environment, plastics are being used to make everything from automotive body parts to human body parts. Each application requires a special manufacturing process that can mold the part based on specifications. In a previous article on our blog, we break down the various types of plastic molding and their advantages. A common question for designers and engineers is “How much will a plastic injection mold cost?” It makes sense. Injection molds represent the greatest expense in upfront production costs. And, there are many factors that go into determining the cost. With any custom injection molding project, your injection molder will be able to give you the final price tag. In this article, we will review the variables that can impact the cost so that you can be better informed in making a mold purchasing decision.